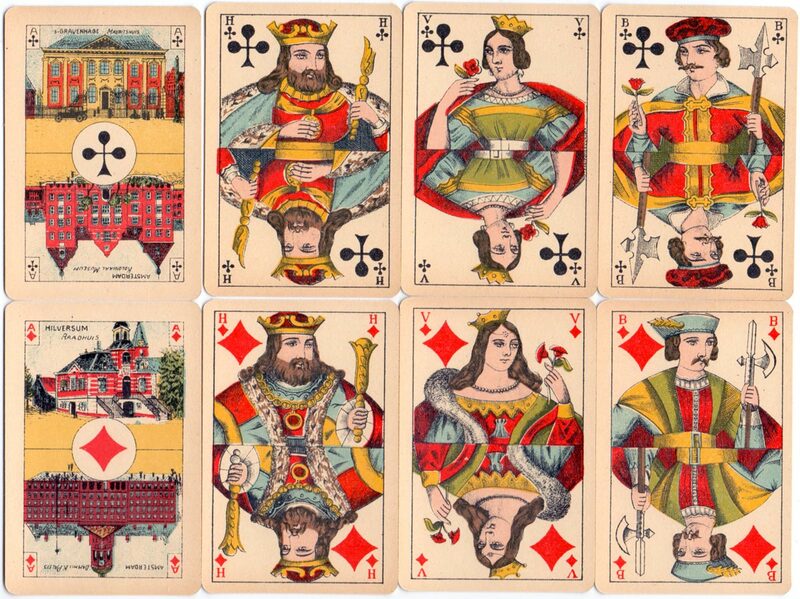 ‘Piket Fijne Speelkaarten’ by La Turnhoutoise for export to the Netherlands, c.1925-30. 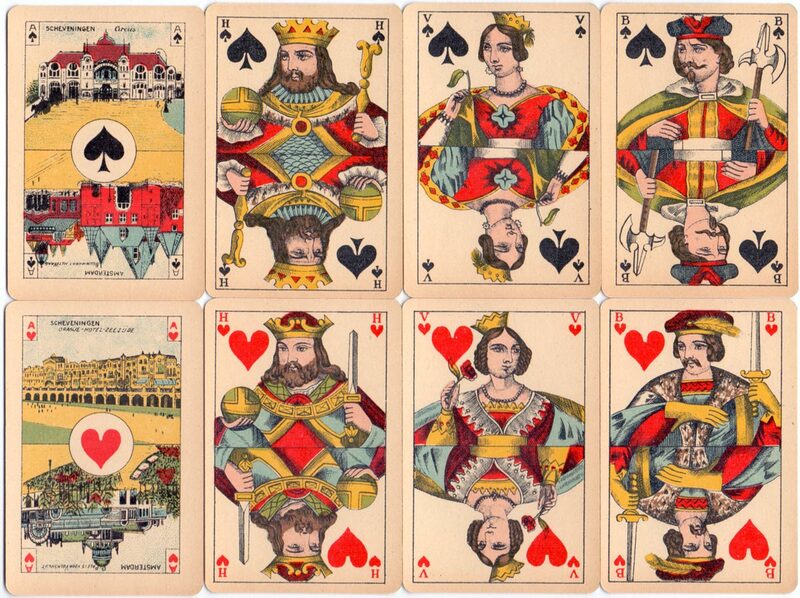 The court cards have an affinity with the French Paris pattern but are nevertheless a fantasy design. The four aces show various buildings from The Netherlands at each end. 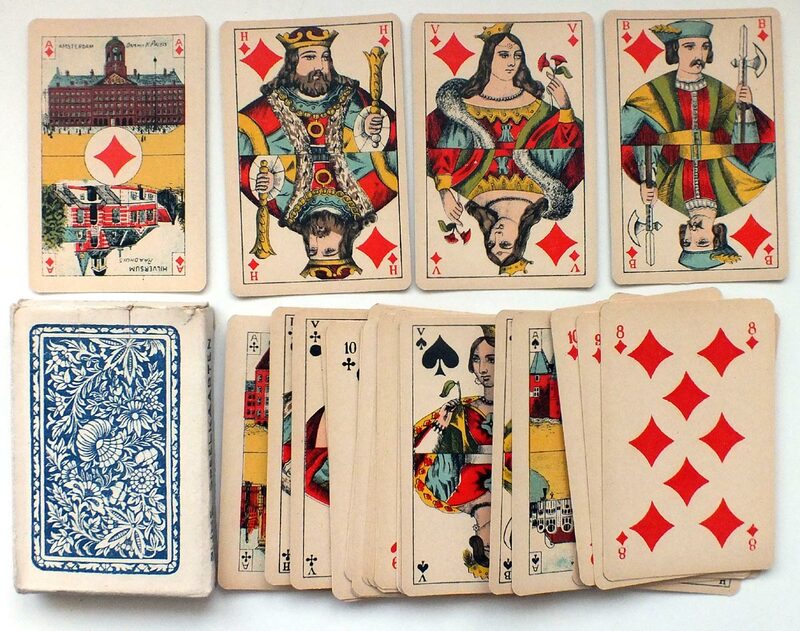 Above: ‘Piket Fijne Speelkaarten’ by La Turnhoutoise, c.1930. 32 cards + 1 extra card in box. Gilded corners. The back design is a floral pattern in red or blue.